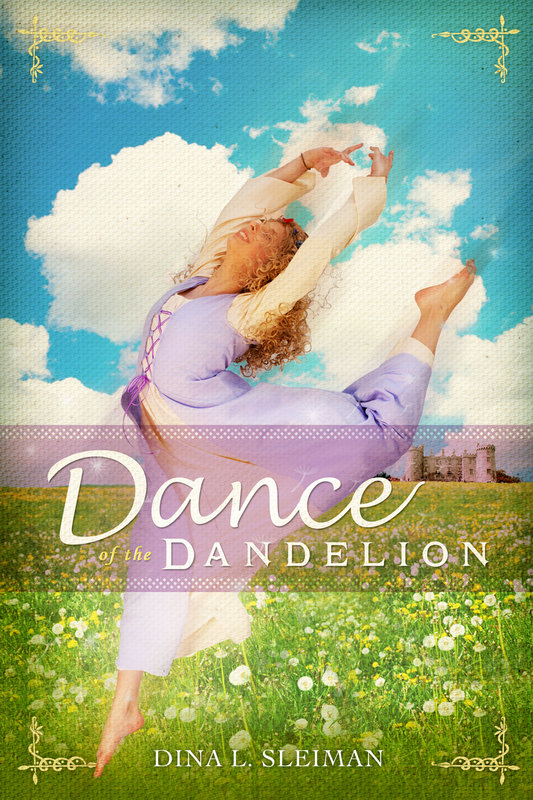 Guest Reviewer Michelle Sutton for Dance of the Dandelion! Join the Inkies in welcoming Author and Super Reviewer Michelle Sutton! I'm pretty sure she has a clone. Beside being an Author of over a dozen novels, Michelle reads and reviews books like I go through peanut butter--with a passion. I'll let her tell you how many she's read and reviewed this year alone! Readers, don't forget to leave a comment and let us know if you'd like to be in the drawing for Dina's book. We'll be picking a name Sunday night October 9th! Here's Michelle . . .
My all time favorite book! I have finally found the perfect novel. Seriously! This is the best book I have read in a very long time and I've read over 200 books in the last two years. In the acknowledgments at the end of the book, the author credits Donald Maass for teaching her how to develop a decent plot into a stellar one. She far exceeded stellar and I dare say this book for me was more of a mind-blowing romance and spiritual love story similar to Redeeming Love, a best-selling novel by Francine Rivers. Over the years I have read a ton of books set during this time period and none of them came close to being as exhilarating for me as this one. It not only inspired me, but reading this novel was downright addicting. I had to have my fix daily until I finished the book. When I reached the end I felt an overwhelming sense of satisfaction at having experienced the highs and lows of Dandelion's journey, as well as bonding so closely to the characters that I felt as if I had also experienced the same boundless joy by the end of the book. The resolution was stellar, and beyond satisfying. I can't say enough good things about this book. I feel like my words will be inadequate, but I'll try to explain why this book will forever remain in my heart as a favorite read right up there with Redeeming Love by Francine Rivers. For one thing, the author had so many insights into not only the physical and emotional realm of Dandelion's existence, but she nailed her spiritual journey as well. We have all asked ourselves the same questions and have at times felt the same longing for more than we have. We have all sought that joy that can only come from knowing God. The Bible says if you seek God with your whole heart (like Dandelion did) you will find Him. Unfortunately many of us trip and fall many times along the way. Some of us make terrible choices with devastating consequences and others make better ones, but we all make choices every day. We are all capable of being led astray, and often childhood pain drives our desire for whatever it is we seek. This story showed that in a way that made sense, and it was so well-written. The prose was beautiful and sigh-worthy, for sure. For me the most emotional and touching part of the story had to do with Dandelion's fear of her own passion. God made her that way and she knew that deep inside. When she tried to squelch it, the effect never lasted. She longed for love and a better life, but her passion was misdirected so many times. She thought maybe choosing someone who was stable and secure was what she needed to control that passion that frightened her so many times, but that didn't work. Often women are drawn to men who have self-serving and selfish desires because they are so charming and passionate as well, but not in a way that shows love. That initial bond quickly shatters when the true colors of the person doing the abusing comes out and then the woman is trapped. Dandelion was strong in so many ways, but at the same time she was so very human. I loved her dearly as if she were a real person. Dance of the Dandelion inspired me in a place deep inside my heart that books rarely touch. I highly recommend this story for anyone who has looked for love and satisfaction in the wrong places and thus made poor choices in this life. The book illustrates through well-written characterization how you can experience the freedom to worship God with passion and fulfill that desire to know Him more. That's what Dandelion's story did for me. Thanks Michelle! It was a pleasure to share your review with our readers and hope you can return and talk about your own writing. Michelle! Thanks for your help today to make an extra special day for Dina. Or The Dina as we now refer to her. With a review like that she'll have to to get her wimple sized up. Yokes. But you've done such a spectacular job explaining what's so special about Dance of the Dandelion. And not one of us wouldn't want to hear " my favorite book" from such a well respected.revieerer. I will be traveling the interstate today and arriving to spotty Internet service. But please know I'll be giving it a try as often as I can. Readers please let us know if you'd like to be in the drawing. ( which ends tomorrow night ). My next comment is excuse the typos. The font size is smaller onscreen now(no it's not me). But I am responsible for the typos when typing on the mini mini keyboard. Ha ha, those are some royal typos there, Deb. Michelle, what a fabulous review! Thank you for joining us today and sharing your thoughts on Dina's book. I don't know how anyone could say it better. I, too, was so touched by this book. It's one of the few books I'll read over again. it really is a special book. Hey, Michelle. So you liked The Dina's book, eh. Your passion for Dance of the Dandelion really came through. It makes me want to read it even more than before. LOL! I am still passionate about it. I would read it again if I got me a hard copy (wink.) Anyway, I love books full of truth and there was a lot of great stuff in Dina's book. Now for those of you who noticed my latest book, In Sheep's Clothing... well, for the record it is my mellowest, least edgy read, and it's also more funny than anything else. That said, just know that I have deeper stuff out there. Now, if you enjoy a light-hearted read, then it will hopefully make you smile. What a fabulous review! Thanks so much, Michelle. Any author would love to receive such glowing, heartfelt praise. Dina, I hope you frame Michelle's review and refer to it whenever you need a pick-me-up. Awesome plan, Susie. We writers tend to be a tad bit bi-polar when it comes to our opinions of our own writing. Oh dear. I just read my comment and saw all the typos Another fine update has changed formatting and the words are half the size they used to be. At least I didn't see anything profane. Yokes instead of yikes. I can deal with. What a day. It's nice to relax and catch up. Thanks again Michelle!! 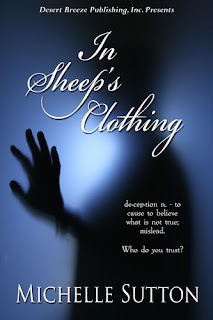 We had Nike Chillemi on awhile back talking shout "edgy" Christian fiction. The phrase has been applied to Dina's book I think, and I'd love to have more discussion on the subject. A great launching point would be to hear more about your books and the audiences youVe had for them. I hope we can set up a visit for that purpose. Good night from my little seaside cottage. Ahhhh. Bliss. ( yes. Both grandchildren are asleep. The first quiet of the day! Michelle, I like the sound of your light-hearted AND your edgy books. I'll be certain to order them. I've read Michelle's YA book "It's Not About Me" at my daughter's insistence. It was great. But what I really was blessed by was "Never Without Hope." Wow. Very powerful book. And it really demonstrates what edgy Christian fiction at its best can accomplish that typical Christian fiction can't. Yes, we definitely need to have you back on a Wednesday, Michelle, to talk about edgy Christian fiction. Sweet! I am typically off on Wednesdays, too, so I could actually interact with bloggers the day it posts. Yay! Thanks for the recommendations, Dina. Both of those books sound intriguing to me!